These were just two traveller reviews submitted by a Tripadvisor.com user about a hotel called the Nanford Guest House. Tripadvisor is undoubtedly the authority figure of travel review sites, allowing travellers to rate their hotel stays. It may seem a little amusing at first glance, but businesses that are on the receiving end of such scathing, public critique can have their profits ruthlessly eradicated. In fact, a report from WTM’s 2010 Industry Report concluded that 1 in 4 UK travellers use Tripadvisor before booking their trips. For owners of the Nanford Guest House, and similar hoteliers who have been slated on Tripadvisor, that’s a pretty big problem. You see, the simple critiques above are an apt microcosm for the way that the internet has dramatically brought potentially every single business in the world under the microscope. Mine and yours included. Simply because, anyone can write about your business in any number of places, such as industry forums, social sites, blogs and more. In fact, if you’re anything but the freshest of start-ups, there probably has been something written about you and your business. It may be positive, it may be negative – either way, you really ought to know. So, a very crucial new internet concept has been born. It isn’t exactly clear cut or straightforward. It often involves going toe to toe with people who, sometimes quite illogically, just don’t like you. It can even get to be soul destroying when you see one negative comment after another (just ask the owners of the Nanford Guest House). Welcome to the murky new world of “Online Reputation Management” – and you had best take it seriously. 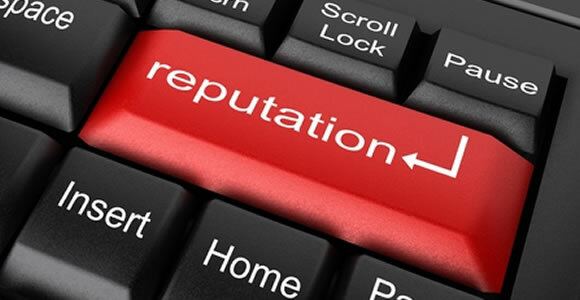 Online reputation management is the scouring of the internet to identify and monitor what has been written about you or your company and brand. An online reputation management campaign involves identifying positive feedback that may be capitalized upon, while trying to remove as much negativity as possible. How? Smaller entrepreneurs and businesses can pickup Online Reputation Management software – while larger companies may devote entire salaried staff to look at ORM, or outsource their ORM campaigns to experts. Where Do You Need To Look Out For Potential Comments About You? With trend research revealing that customers are becoming increasingly savvy before laying their money down, negative reviews in any major online site that your clients could see can really hurt you. It can also create a herd like mentality, with a couple of poor reviews spurring on even more negative comments from others. There have also been noted cases of reputation fraud – both positive and negative, with some companies hiring posters to add positive reviews about their business while slating their competition. You may not have considered Online Reputation Management yet, but it’s almost certain your competition has. A study by BIA Kelsey revealed that by the end of 2013 the ORM market will have tip toed above $3bn with around 4 million small and medium sized firms actively employing some level of reputation management. Register On Any Place Where Your Clients May Comment About You. This can include the top niche forums within your industry. It allows you to catch any mention about your brands and be proactive in dealing with any emerging situation. Listen Actively & Respond Promptly. One of the keys to maintaining or claiming back a solid reputation is to show that you’re listening to concerns and taking corrective action where required. For example, many hotels who have wielded Tripadvisor cleverly have a manager monitoring comments on the site and replying to individual comments. SEO Is Key. By engaging in good SEO, you make sure that your customers find you first, before they may stumble over any random comment about your product or service. Create Google Alerts. By using Google Alerts the right way, you’re able to get real time alerts on your chosen keywords whenever anything containing that keyword is posted online. You can insert keywords pertaining to your company name, brands, competitors and so on. Be Active On Twitter & Facebook. As far as being bad mouthed is concerned, these are the two places where it’s more than likely to happen. If nothing else, this article should have hammered home three points. First, your reputation is really no longer in your own hands, but rather determined collectively by your customers. Second, much like fighting an invasive cancer, you need to identify and rip out negative commentary before it becomes a crippling, revenue crushing problem. And finally, if you ever happen to find yourself travelling around Oxford, it might really be best to avoid the Nanford Guest House.